One of Steinberg Law Firm’s attorneys, Kevin Holmes, was awarded a plaque by the Charleston County Bar Association for his admirable service on the executive committee. Mr. Holmes has dedicated 39 years to Steinberg, working with cases from personal injury to workers’ compensation. 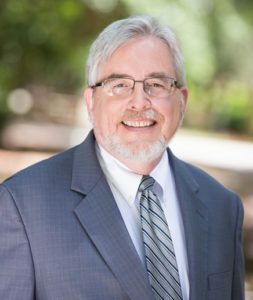 With 42 years’ experience trying civil and criminal cases in both State and Federal Courts of South Carolina, Mr. Holmes has a heightened sense of legal sophistication. “It isn’t enough to be a good trial lawyer,” Mr. Holmes explains, “A good lawyer must also be prepared to fight their client’s case on appeal.” Mr. Holmes has tried 38 homicide cases, two of which were death penalty murder cases. After trying hundreds of civil trials in State and Federal court, Mr. Holmes earned a membership in the distinguished American Board of Trial Advocates. Mr. Holmes served several terms on the Board of Governors of the South Carolina Association for Justice. In addition, Mr. Holmes has been recognized by the Million Dollar Advocates, Best Lawyers in America (for both personal injury and workers’ compensation) and Super Lawyers. His work on the Charleston County Bar Association’s executive committee has led him to yet another recognition. The Charleston County Bar Association is a nonprofit organization that devotes itself to the Charleston County legal community by advocating for positive ethics and education. The Association also works with public outreach through programs and service projects. 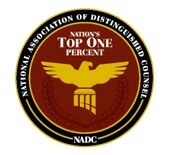 With over 2,000 attorney members, the Association thrives for the community by member dues alone.